But ford guys wouldn’t do the same on a ford site? Can't vouch for that. Never been on furd sites. Lol. Wasn't really supposed to have point. Just a post. Maybe I can make it a little better. So who was the first ls motor in the 5's with factory block & heads(modded of coarse) under 300ci? Don't get mad. Stips can & will always rain in the net. You know this. Lol. 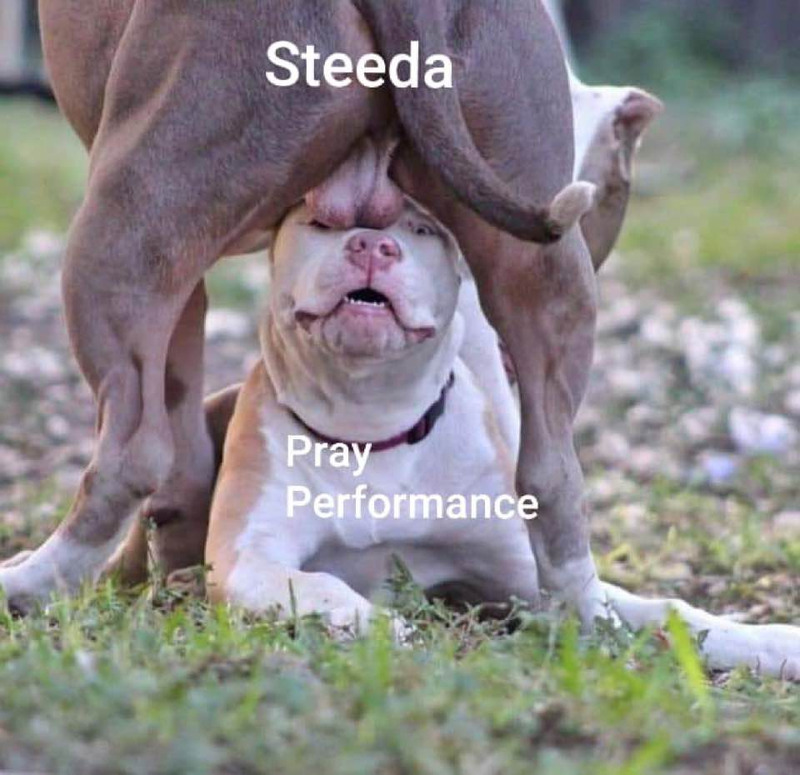 I hope steeda and pray can do a head to head. Do walk around of each vehicle in race trim. And when it was h/c it had almost the exact same weight reduction. They just started ripping the dash apart now. its had a lot more done. Not just WR. He has said it himself it will be much faster now in the future with a cam. Do I really need to get him on here to prove you wrong yet again ? I'm not on as much as used to be. I'm actually at work right now making that JOB money. Stuff dougy dont know about. sorry....was at the bank making investments today. Kinda hard to w/o a job. once the block is modded to hell and back does it really matter what the case is? For most the $ savings from buying a aftermarket block will rule out the modding of a block. does your wife know what your were doing with her money? My wife was there. But she doesn't work right now. Not that it's any of your business. It's not very nice to invest other people's money with out their permission. It has less mods and is on pump E85 compared to steeda. Steeda also has a tubular k member we don’t have. They ran at Fayetteville vs Rockingham where they got the 10.28 last weekend. Fayetteville has always been consistently 1.5-2 tenths slower and 1-2mph sower than Rockingham for me. I have no doubt had they ran at Rockingham this slip would have been a 10.1 or 10.0. Also latest beta for HPT has issues. They are still having some throttle closure issues. This car WILL go 9's. With that said.. you cannot take anything away from the Steeda car. They are paying attention to details just like Pray is. Steeda runs good and would be a hell of a good race if they pulled equal lights. I am still a 5.br0 fan. I talk **** to Mustang guys having fun with it. But having had both makes and seeing how Pray has changed the game on the LT1 cars since I had Nanner, the LT1 definitely is the Goat over the 5.0 NA. Steeda is running VERY GOOD.. and zero hate from me.. but nobody else is close to them. Most of the 10sec NA 18+ 5.0s are sitting in the upper 10 range. There are multiple 6gens in the mid 10s with boltons now. Pray runs the game on them now as far as sheer number of 10sec bolton 6gens. Ultra.. throw your stock TB back on the car and try it again. May be having issues with the 95mm. And there are things that you DO need to change or it will hit Reduced power mode(Not just the TB area value). It happened to me with the 103mm. now im also getting P0171 and 0174. Lean on bank 1 and 2. Manifold leak? Way too many phaxxes for this thread. Lol. Might not even have to wait for the race. If LS nothing matters. If anything else everything matters. Does it really matter, a 3.75 run, when other cars in that class are getting into the 3.50s? Seen this today any truth?